The Science Center of NH on Squam Lake features inter-active exhibits of native animals located along scenic forest, meadow and marshland trails. The library offers a discounted admission pass to the Center. Off Rte 133 in Holderness. Castle in the Clouds (Lucknow Estate) is a classic mansion in the American Craftsman Style in American Architecture, which featured any innovations, among them a circular shower, interlocking kitchen tiles, and a central vacuum system. Our pass to the estate and grounds provides free admission for one adult and one child age 17 or under, and half price admission for a second adult and child. Children age 4 and under are admitted for free. It is located on Rte 171 in Moultonboro. Other area museums (passes not available at present). Arts and culture: The Currier Gallery (Manchester) exhibits American and European art works from its own and visiting collections. The Isabella Gardner Museum (Boston) houses an significant examples of European, Asian, and American art in a building that emulates a 15thc Venetian palace. History: The Remick Museum (Tamworth) preserves the history of country doctors on a working rural farm. 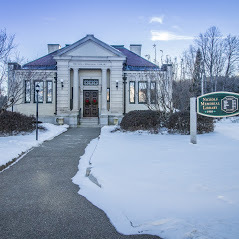 The Wright Museum (Wolfeboro) is dedicated to preserving the history of the American Home Front during the WWII era. Shaker Village (Canterbury) features exhibits tours and program on the history, lifestyle and vales of the Shakers. The New Hampshire Historical Society preserves and exhibits materials on NH history. The Strawberry Banke (Portsmouth) brings 300 year history of the waterfront neighborhood to life. Science and nature: The Libby Museum (Wolfeboro) presents exhibits and programs on the natural world. The McAuliffe-Shepard Discovery Center features a planetarium and exhibits on aerospace exploration. The Children’s Museum (Dover) offers interactive exhibits on under-sea research, brain waves, dinosaurs, world cultures.